A vocation is an extremely mysterious reality. The call of God is not something extrinsic; it penetrates to the most intimate centre of the heart. We are what we are on account of this call. 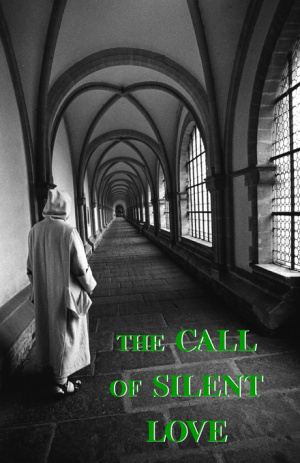 The Call of Silent Love is a profound and eloquent examination of the twin themes of vocation and discernment in which the father-master speaks about the nature of a calling, and the interanl and external struggles, the discernment of spirits and the overall framework in which we live our lives. 'The reader is faced with a rare and compelling account of Carthusian spirituality that is simple, sustaining and inviting - to every Christian.' (The Tablet) Other books of classic Carthusian spirituality published by Gracewing include The Prayer of Love and Silence, They Speak by Silences and The Wound of Love. The Call of Silent Love by A. Carthusian was published by Gracewing Publishing in March 2006 and is our 53465th best seller. The ISBN for The Call of Silent Love is 9780852446713. Be the first to review The Call of Silent Love! Got a question? No problem! Just click here to ask us about The Call of Silent Love.